Peter: Welcome to Business Advantage a show where we get the best minds in the industry to teach you their expertise. Packing years of experience into actionable resources for you. I’m your host Peter Lang of Uhuru Network, a digital marketing agency giving businesses a competitive advantage. Peter: This show is about you, so if you have any questions about our guest or Digital Marketing please feel free to email me at Peter(at)uhurunetwork(dot)com. Today, we’re with my friend Farbrizio Trentacosti. If you’re in Italy you’ve probably heard of him, but to the English speaking community this may be your first glimpse. He’s the blogger behind TrucchiFacebook.com an extremely popular Italian resource of all things Facebook, which at the time of this interview hosts over 500,000 monthly readers. He has broad array of Digital Marketing skills, and deep knowledge and ability in Blogging and Facebook. Today’s interview “How to Achieve Blogging Success” is designed to help busy bloggers, marketers and business owners discover what works with blogging. Peter: Start by telling us a bit about you personally, and then, about your blog trucchifacebook. I’m a digital entrepreneur that some years ago turned his passion into a full time job. I love challenging myself in every aspect of my life and this has surely been my biggest challenge. TrucchiFacebook.com is today the most popular blog about Facebook in Italy. 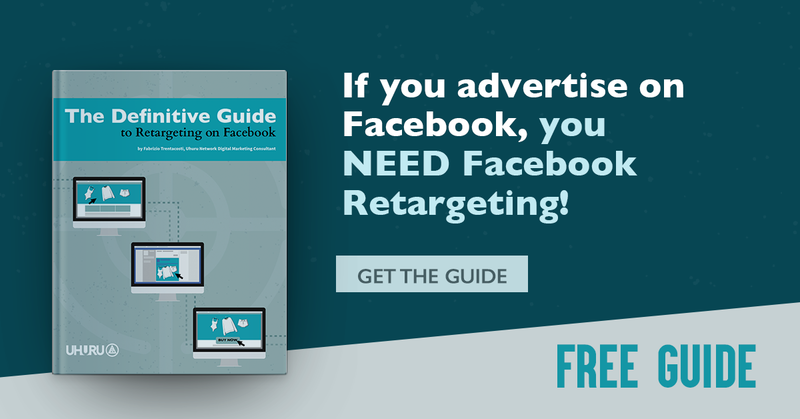 It currently gets about half million visits per months and has given me the opportunity to learn almost every aspect of the Facebook platform. With the blog I also created a forum to help users in their everyday trouble with Facebook and also built a great community with now counts more than 50k users on Facebook. Peter: Take us back to trucchifacebook’s beginning back in 2009, tell us a specific story about the early days of your blog. Fabrizio: Back in the days I was following a different career, I was working in international organizations and on 2009 I remember being in New York working at the United Nations. I called you Peter and we planned a little trip in California. During those days we couldn’t even imagine what our life would have become in just a few months. We developed great ideas, started international projects, and started new blogs. I had already a blog about web tips&tricks and I was amazed by the international success of Facebook. So we decided to launch a tips&tricks blog about Facebook. I called it in Italian trucchifacebook, and you called it in english tricksfacebook. Peter: What was your biggest failure and what did you learn from it? Fabrizio: After my studies (2 degrees) and my 5 internships around the world I started looking for jobs. I had a great curriculum and I was sure to find my “dream” job in big multinational organizations, but I din’t. I almost never got replies and if I did they were mostly negative; some were positive but after many meetings and interviews I was always rejected. This was my biggest failure, but at the same time the greatest opportunity of my life. Thanks to all those rejection today I’m not working in some places where I could not be free; thanks to them I wake up every day and I do what I want to do; thanks to every negative response I got the strength to build my own job and even earn more many that I could. I thank and will always thank them forever. Peter: What was your blogging business Ah-ha moment? Fabrizio: Love this question. I think it’s related to my previous answer. The biggest moment was at the end of 2011, when I stopped being a job seeker and started looking at my blog in a professional way. From then it all exploded. Peter: What’s kept you blogging all these years? Fabrizio: I’ve been blogging since 2007. I started because it was an hobby, and I still look at it in that way. If you blog only because “you have to” then it’ll soon become a boring activity. If you blog because you like it you’ll soon discover the best way to become an expert in your field, to keep yourself updated with every single news, to establish your authority in the world wide web and grow your followers community. Peter: What are some resources or tools you use and recommend? Fabrizio: The essential list : WordPress as the only platform (with plugins like SEO by Yoast and W3 Total Cache), Feedly as your main feed reader, Facebook Interest lists as your second feed reader, Google Analytics as your stats platform, MailChimp as your newsletter system. That’s it. Peter: How have you monetize trucchifacebook over the years? I’ve mainly monetizing it with Google AdSense, and I’ve been overall quite happy with it. AdSense gives me the freedom to concentrate on blogging keeping an overall constant income per visit. I’ve also been contacted by many companies, individuals and organizations, offering consultancy services or live workshops and seminars. That is a great list and I like the order too. What I’ve been experiencing as important is the a good blog post should solve the reader problem and it should do it as fastest as it can. So, content is king, but only if (as every marketer would agree) it satisfy the reader need. Peter: Tell us a little about blogging as a career. Fabrizio: It’s a great career only if you look at it as a tool to become an expert and get out to the real world to meet new people. Let’s never forget that technology, especially social media were build to facilitate our relationships and not to substitute them. I would say: blog, but think about and meet your readers. Peter: If you could give one piece of advice to bloggers that would help them grow their online presence or just stand out online, what would it be? Fabrizio: One of the best advice I got in my early days was about personal branding. Your online success it all starts from there: study yourself, and position your abilities and your uniqueness in the online market. Peter: If you could do the entire blog over again, what would you have done differently? A successful blog servers the purpose of its creation. is one that gets enough visitors to fulfill its purpose. Like Fabrizio, you might not be setting out to have an audience of 500,000 monthly readers. Realize there is no silver bullet to bring you thousands of visits without hard work and reader-centric content. Fabrizio’s blog has steadily grown since the day it was created, but boosted to a point of seriousness once he himself took the blog seriously. Yes, there are methods or tactics that can boost traffic in the short-term but you must remember to be patient and work daily towards your goals. What a fun interview! I think I met you (Peter) not long after you launched the TricksFacebook blog and Fabrizio around that time. Perhaps it was that fateful California trip? Great nuggets of wisdom, especially social media being about relationships. It’s easy to forget that. Congrats, Fabrizio, on your great success! Thank you Beth! I believe you’re right about our first meeting. Sometimes we look at our blogs as hobbies but your story of TrucchiFacebook shows us that: 1) when can really build a successful blog once they get serious about growing it, and 2) blogging success can be found by those targeting an audience from another country – Italy in your case.